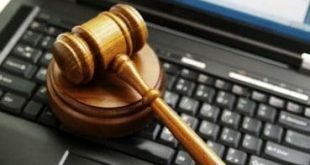 Home / Education / What are the Requirements to Become a Paralegal? Would you like to work in the legal field, but do not wish to become an attorney? Then consider becoming a paralegal. This job offers a lot of variety with day-to-day tasks that should make your workday go by quickly. 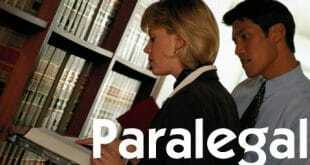 But before you can find work in this exciting career, you must first meet these requirements to become a paralegal. You must have some formal education in order to work as a paralegal. There are a few options available and you can decide which one works best for you in terms of time, cost, and how much you would like to earn once you land a job. The higher your education, the more earning potential you will have. There are approximately 600 paralegal education programs in the United States, so finding a school in your area should be relatively easy. Earning a certificate only takes about seven months to complete. However, many of these programs are only available to those who already have an associate or bachelor degree in another field of study. Usually, only courses that pertain to the paralegal career are offered and do not include general education classes. Some courses you will take are: ethics, legal research, business law, legal writing, personal injury, and family law. These programs are found in community colleges and occasionally at four-year colleges and universities as well as business schools. During your education, about half of your courses will be general education and the other half will relate to the paralegal field. You need to complete 60 to 70 semester units to earn a degree. Many colleges and universities offer students an opportunity to earn a bachelor’s degree in paralegal education. You can opt to have it as a major or minor. To finish your schooling, you need 120 to 130 semester units which includes 30 to 60 units in paralegal studies and other related courses. There are a few schools that offer an advanced degree in paralegal studies if you wish to further your education. If you would like to learn more about the requirements to become a paralegal, contact us. Next What is an Expanded Functions Dental Assistant?